Bungee line is popular on dinghies for uses such as keeping hiking straps taught and tidying up lines. Installing bungee can be tough however, with knots often tightening too much or slipping out over time. Thankfully there is a great piece of hardware that is perfect for securing your bungee: a hog ring. Hog rings are made of stainless steel and are designed to be pinched shut around whatever they are securing. 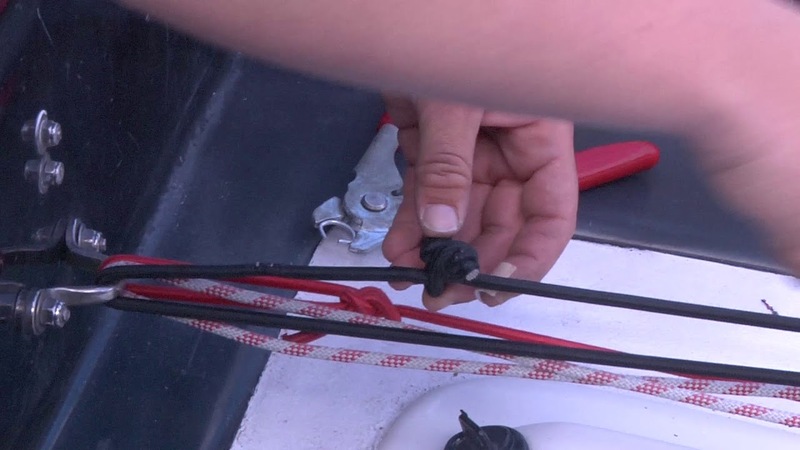 Learn how to properly install your bungee line using a hog ring!